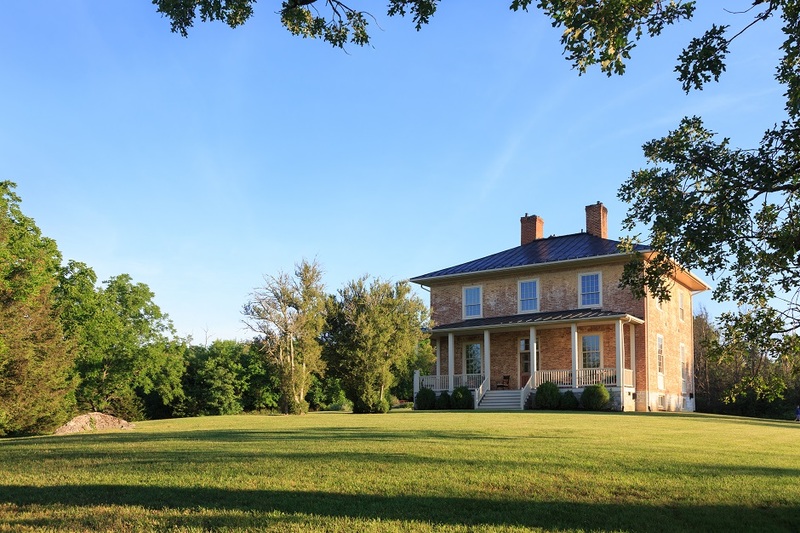 Originally built in 1785 by the young Revolutionary War Captain Strother Jones, the Vaucluse Manor house was home to his direct descendants through the Civil War. It’s fall into disuse was reversed in 1997 when the Myers lovingly restored the house to it’s glory and Vaucluse once again was filled with life, laughter, and great food. 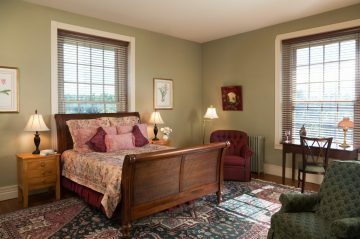 Today, the first floor of Vaucluse contains the inn’s two dining rooms, where our delicious breakfasts are served each morning, and two gracious sitting rooms. 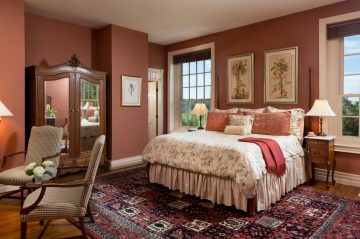 The soaring windows, high ceilings, intricately carved mantles, and walnut and cherry paneled doors always elicit comments. 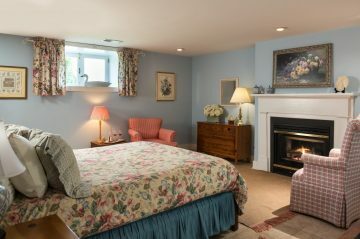 Upstairs there are three elegant rooms with commanding views of the surrounding countryside through grand windows. 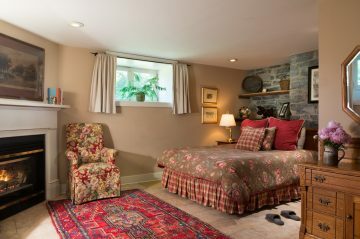 High ceilings, original mantles, and gleaming heart pine floors under thick Oriental rugs are found throughout. 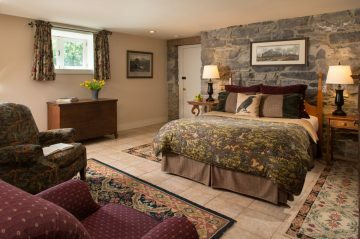 There are an additional three guest rooms downstairs, off of the original winter kitchen showcasing a large fireplace and another great common area to gather. 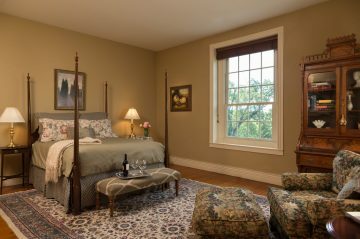 Outside, the front porch with its row of rockers and peaceful views of the Blue Ridge Mountains and Shenandoah Valley is the site of many an early morning cup of coffee and late afternoon glass of wine.